Microsoft won’t call you about problems with your computer! Hang-up! Getting a random call, alerting you about issues with your computer. The caller will guide you to certain log menus in Windows to show errors that normally exist to convince you that problems exist on your computer that need to be corrected right away. Once the caller wins your trust, they direct you to a remote support page to connect to your computer remotely. 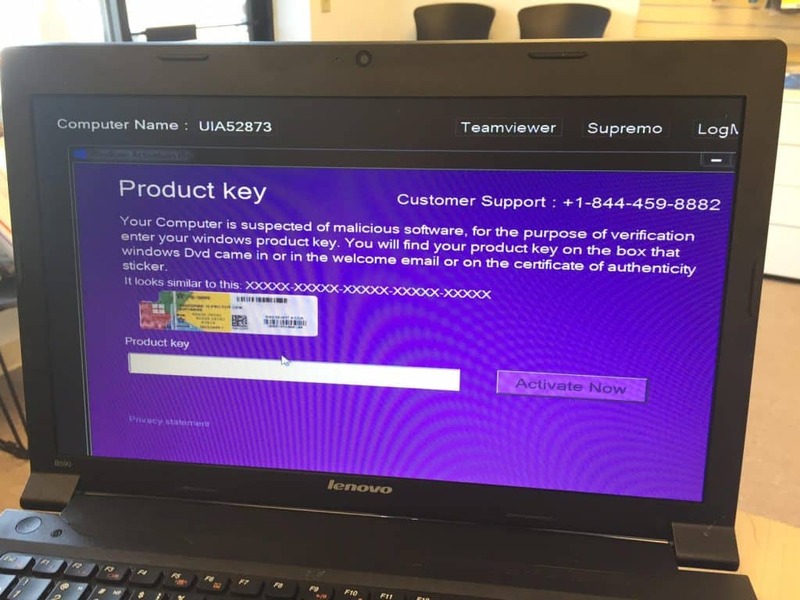 Below is an example of malware they would install convincing you that your computer has a fake version of Windows. After calling that number they then want you to click on any of the remote tool links to get connected to take over your computer. Once those 4 steps are completed you will be way better off then trying to just remove the pop-up malware and then moving on with your day. You never know what registry keys the scammer damaged or if they installed hidden keyloggers, tracking your typing and etc. This way your starting with a like new machine that is virus free and you know that your safe to use the computer. If you feel this post helped you learn more about these phone scams please comment below or if you have any questions please let us know!